Jamf is the world leader in macOS and iOS management with offices in Minneapolis, Eau Claire, Cupertino, New York, Amsterdam, Sydney and Hong Kong. They deliver, support and service the solution for Apple management needs in education and business. Jamf Pro (formerly Casper Suite) is the only Mac and iOS management software developed exclusively for the Apple platform. It offers the breadth and depth of functionality in package building, inventory, image management, remote imaging, remote updates, iOS mobile device management and a powerful framework for automated support. When Jamf first approached Jurupa back in 2013, their European business operation was in its infancy and consisted of a fledgling regional hub in Amsterdam, the Netherlands. The EMEIA region was being run on an interim basis by a senior executive who had relocated from the US to set up the operation. 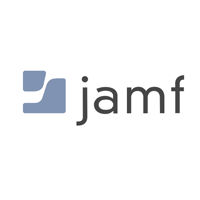 It was judged that in order to fully focus on expanding the footprint of Jamf in Europe, it would be necessary to launch a search for an Amsterdam based Head of Sales for the region. Jamf got in touch with Jurupa and advised from the outset that timescales were very tight given the business pressures to bring a suitable candidate on board quickly. Jurupa were tasked with promptly identifying, qualifying and preparing a shortlist of top level candidates for consideration within aggressive timescales. The successful candidate had to fit within Jamf’s unique and highly prized culture in order to be a suitable hire. The company’s CEO at the time was one of the original founders who had been at the helm since inception. It was very important to him that the values which had carried the business through to this point of evolution would be not only be embraced with the incoming Head of Sales, but also sustained into the future. Once commercial terms had been agreed, Jurupa set to work immediately by staging a discovery call with the US based hiring manager, talent acquisition team and interim EMEA GM to pull together a comprehensive picture of the requirement. Starting with the end goal in mind, Jurupa formulated an expansive framework of screening questions designed to investigate the suitability of our shortlisted candidates, paying particular attention to cultural fit, track record of success, their abilities to lead large sales organisations and crucially, their philosophical approach to selling. A targeted messaging campaign was put in motion which had to be carefully crafted, given the fact that Jamf were something of an unknown quantity in Europe at that time. Our focus at the early stage was all around identifying the right targets and executing with a message that relevant and compelling enough to persuade people to take our call. Having carefully refined the shortlist down to 3 finalists, Jurupa provided comprehensive candidate management throughout the last segment of the process, co-ordinating international travel for meetings with multiple stakeholders in the US, providing up-to-date market data on compensation levels and handling negotiations on package. Whilst Jurupa were initially advised that they would be competing with up to 2 other search firms on this project, Jamf made a conscious early decision based on our responsivity, professionalism and market access to award sole responsibility for this key hiring process to Jurupa.